They have been supporting Carers since 1992. Carers often sacrifice their time, health and careers to support their loved-one. If Carers did not do what they do then the health and social care systems would fail overnight. Although there may be challenges, many Carers have a huge feeling of pride, love and self-fulfilment from the support they provide. Northamptonshire Carers believe that by supporting Carers, they not only support them but also the wider society by making their caring roles more manageable and sustainable. Support groups, Carers Cafes and lunch clubs. Their Carers Support Line which can be called for practical advice or emotional support. Their Young Carer service support children who are in a caring role. Carers Assessments which are a legal right and allow you to determine what support matches your individual circumstances. 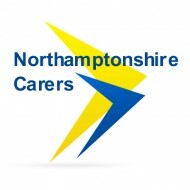 they work with partners such as Northamptonshire County Council and the NHS in order to improve support for Carers, such as by providing Carers Assessments and being a voice for Carers within these organisations.